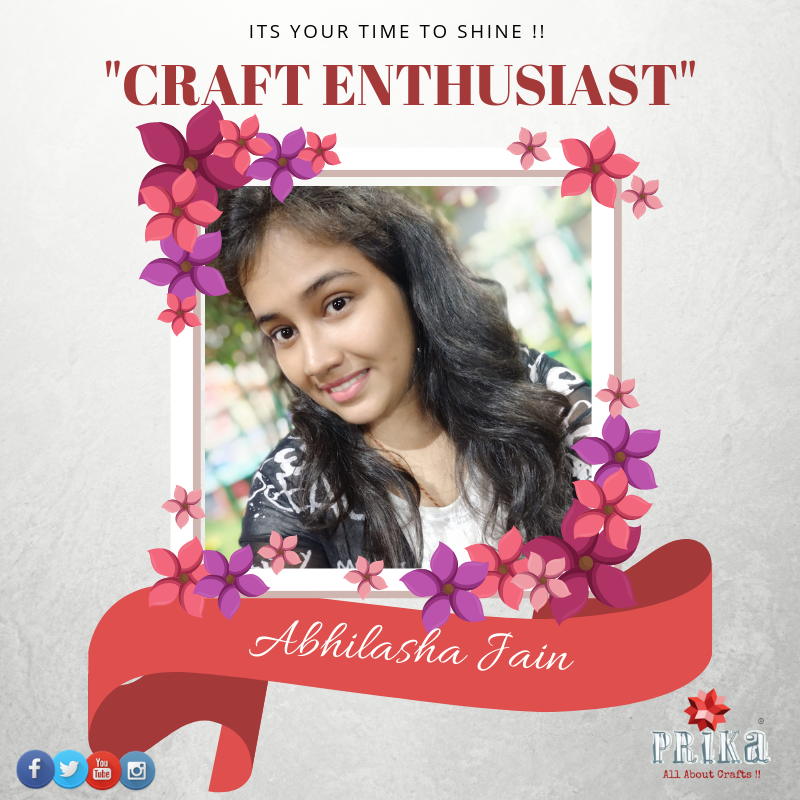 Prika: Craft Enthusiast: "Abhilasha Jain"
This is what Abhilasha speaks about her journey as a crafter and her story of being a craftpreneur…. Myself, Abhilasha Jain, a Computer Science graduate basically from Kolkata but working in Delhi for past 4 years now... I always had a heart for crafting since my childhood and I feel the reason behind this is my mother who herself is a great artist. She always motivated us and got us to try new things. I used to make various stuffs under her guidance like greeting cards, painting, wall hangings, stocking flowers, argandy flowers, candle making, wallet making, soft toys, table mats etc etc.. there was no limitations and she always kept on searching what’s new and trendy and used to try out with us. So haven’t it been my mother, I wouldn’t have reached here and craved so much for various styles of art forms. As mentioned earlier, my steps towards crafting had been since my childhood but over the years as I grew it got the least of my priority being burdened under the study & job pressure, but since its never to late to do what your heart says I thought to devote some time to my passion since 2014 and my free time was all reserved for crafting. 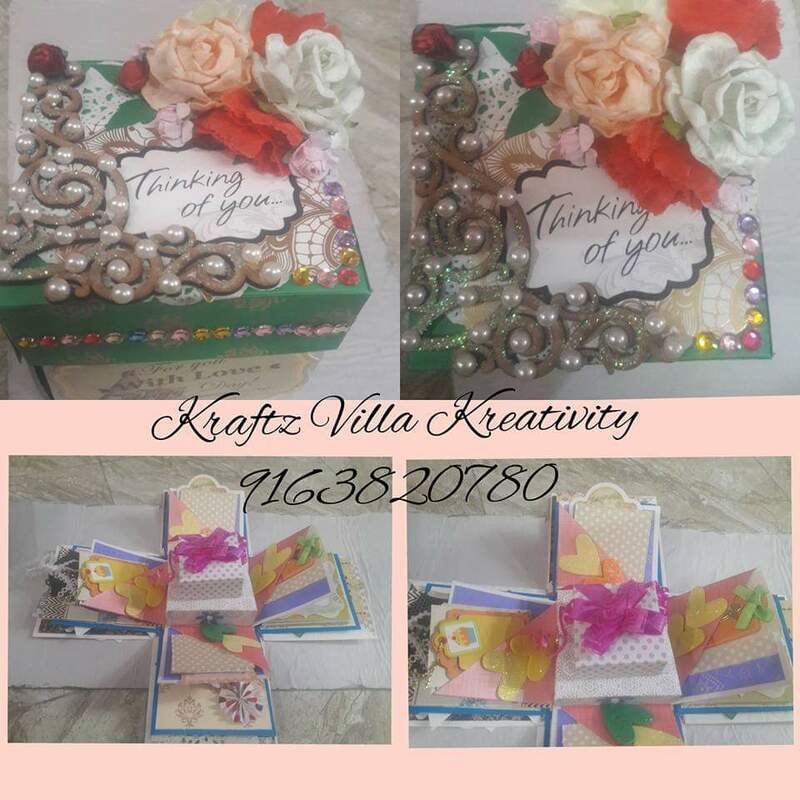 I initially started back with paper quilling which was trendy then and shagun envelopes along with greeting cards. 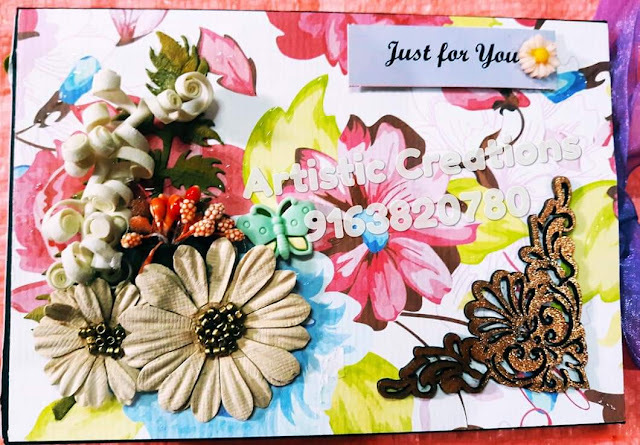 I tried quilling in various forms and this art in every possible way. 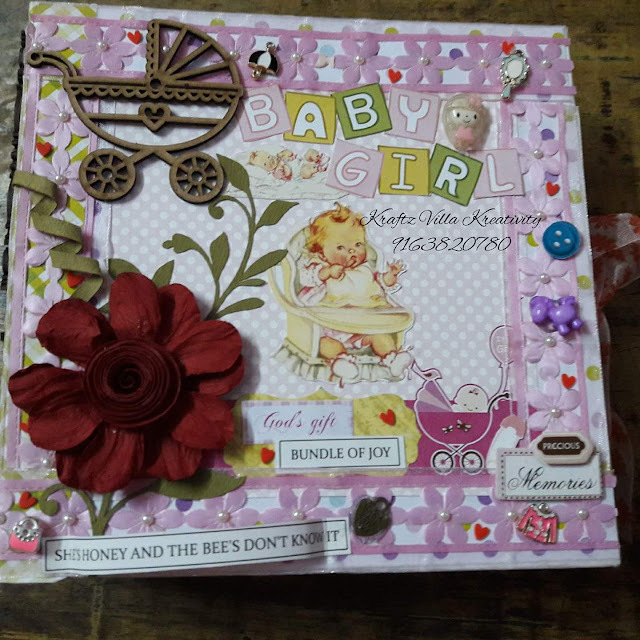 As years passed I tried my hands on various other art forms like scrapbooking, explosion boxes, folios, album making, flower making, photo frames, envelope making, plaid art, wreath making, tag making, distressing, altering old stuffs, a small start to mixed media and recently decoupage. My mother has been my inspiration since my childhood. My second sister too has a tooth for painting and always helps/guides me whenever I’m stuck somewhere. 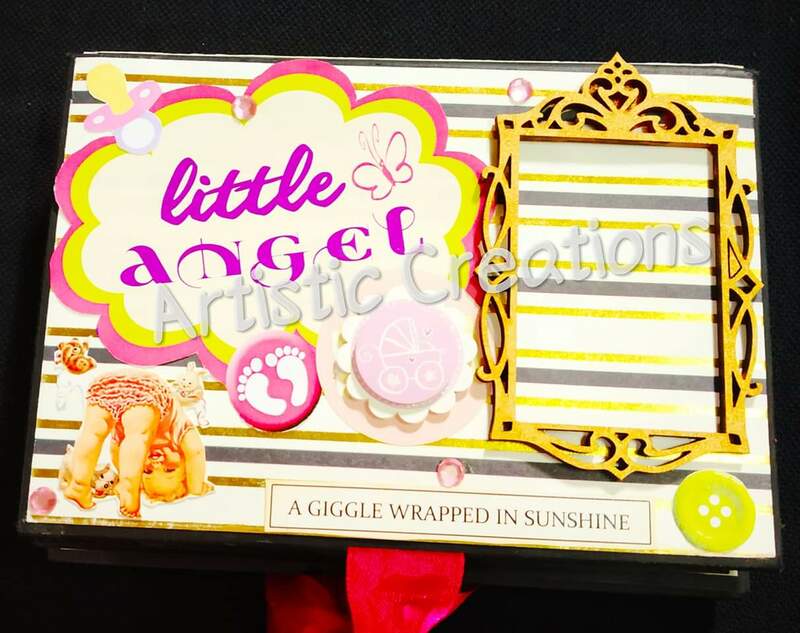 I feel the love I have for crafting is in my genes and there’s no particular reason to fall for it. It just happens that at times you love something unconditionally without a reason and that’s how I feel for crafting. It kind of soothes me, inspires me to try out something new every time. I always follow various artists on Facebook, YouTube, Instagram and Pinterest. YouTube has been a great tutor for me and I have learnt almost everything from it and it’s the first place where I look upon to start/learn anything. 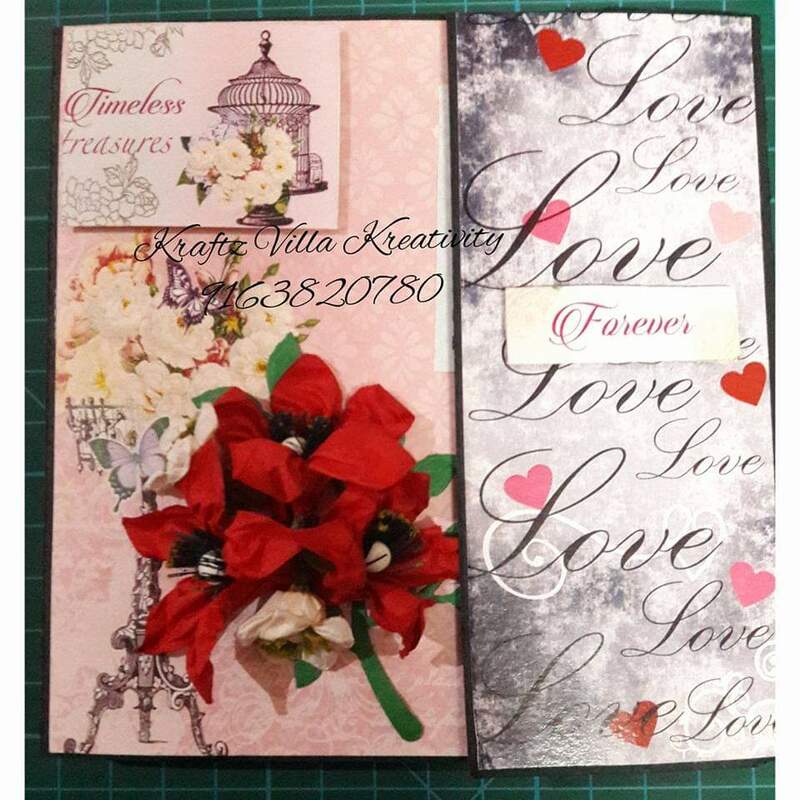 It’s hard to choose the favourite one from all that I love to create but yes I do have some special soft corner for making albums, explosion box and trying out new designs of cards. I don’t restrict myself to any particular style as I believe a true artist is someone who loves to try as many styles as possible and create something new every time. I love to try different styles and art forms and failure never stops me from trying harder next time with clear vision and ideas. I am planning to take crafting professionally and start my blog and update my all social media’s in coming few months after I settle down and quit my job. I’ll have all my time for crafting and create stuffs with more dedication and polish my skills too. I would love to explore myself, my creativity and new art forms. I would love to share that we all are unique and so is each form of art. Never let failure stop you from trying something new. Explore the hidden creativity and talents that we all are blessed with and never compare your love for crafting with others because the way you love something can’t be loved by others the very same way..